The new kraft paper production project of the China manufacturer Leizhan paper and pulp machines was successfully commissioning in the end of January 2015. Iran customer use waste paper, wood pulp as material to produce 200 tons kraft liner board per day. 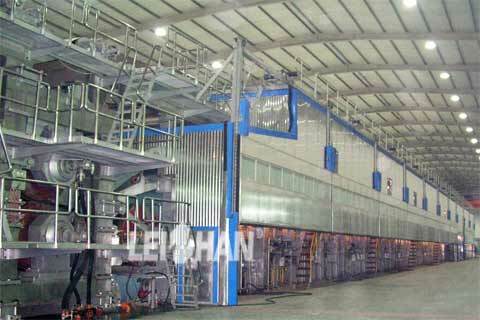 Leizhan supplied Iran customer the whole kraft/testliner paper production system contains kraft paper stock preparation system and paper making machinery system. 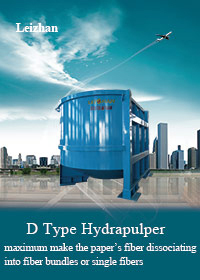 Machines required in the 200t/d kraft liner board production project contains: chain conveyor, drum pulper, high density cleaner, chest agitator, pulp pump, double disc refiner, mid consistency pressure screen, single effect separator, reject separator, low density cleaner, etc. Leizhan kraft/testliner paper manufacturing machine has a trimmed width range of 1800-5800 mm and basis weight range of 80-200 g/m². The production capacity of the kraft paper machinery range of 45-750 tons per day with the operating speed range of 150-800 m/min.